How does a band survive and thrive in NYC for 10 years with little to show except piles of tour posters and broken sunglasses? 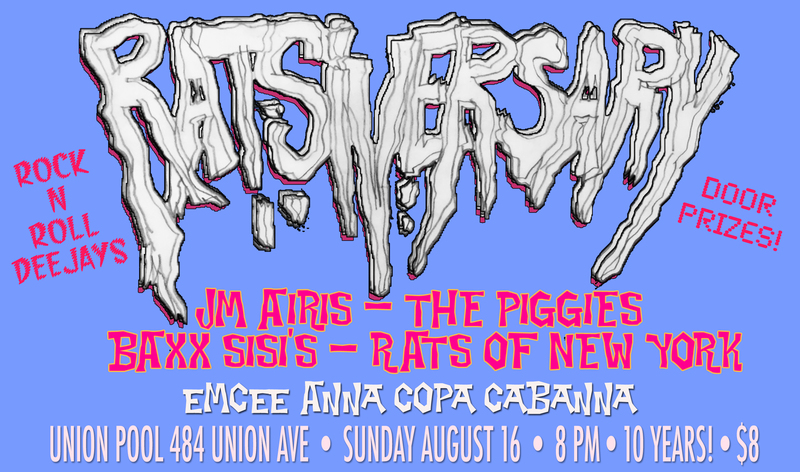 COME ASK THE RATS tomorrow at their 10 Year Ratsiversary Party! 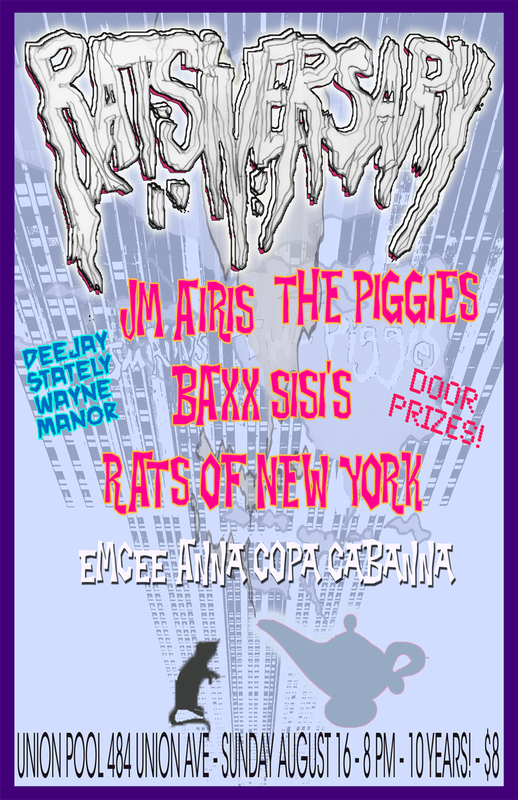 Live Rock n Roll bands! Trivia prizes! Come see Rats of New York play every new song off their upcoming Lp!